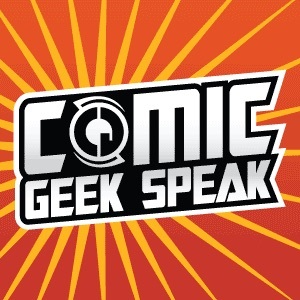 Comic Geek Speak is the best podcast about comic books for fans and new readers alike. Put together by a group of life-long comic geeks, it's 4-5 hours a week of comic book history, current comic news, and a general look at the industry. In addition to all the latest in comics talk, the show also features creator interviews, listener responses, contests, and trivia, lots of trivia. So listen in and experience all the joys of a Wednesday afternoon at the comic shop, from the comfort of your own headphones. 1728 - The CGS 'Best of 2018' Awards Results Show... AND March 2019 Previews! Happy 50th Birthday Jamie D.
1617 - Off the Racks: Civil War II #0-1, Future Quest #1, et al. CGS Presents Classic Geek Speak 1: Comic Geek Speak Begins! 1528 - Top 5: Wild Card Round! 1501 - Jamie's Avengers Assemble! 1500 - Uncle Sal Lives! A Salute to Jamie D.